This is the first work to be shown at the station as part of a four years partnership between the Royal Academy of Arts and HS1 ltd who own the station and run the Terrace Wires commissioning programme. 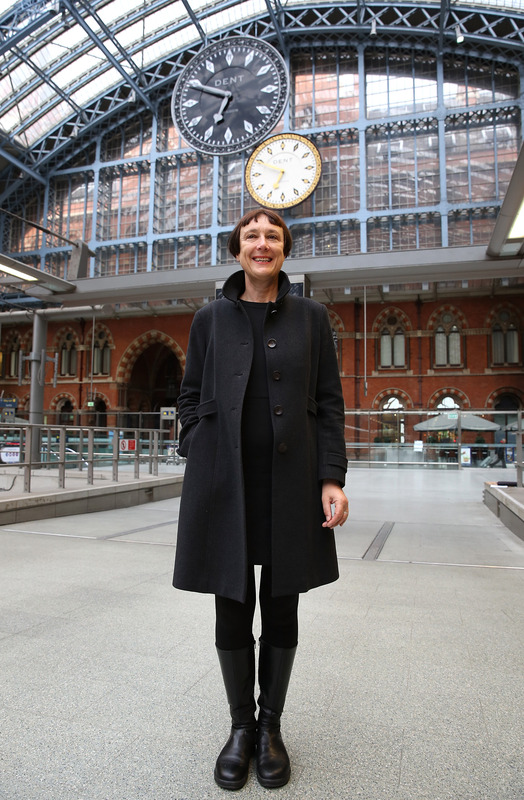 Cornelia Parker describes her piece as the “shadow side of time” and says the project is a “dream come true”. 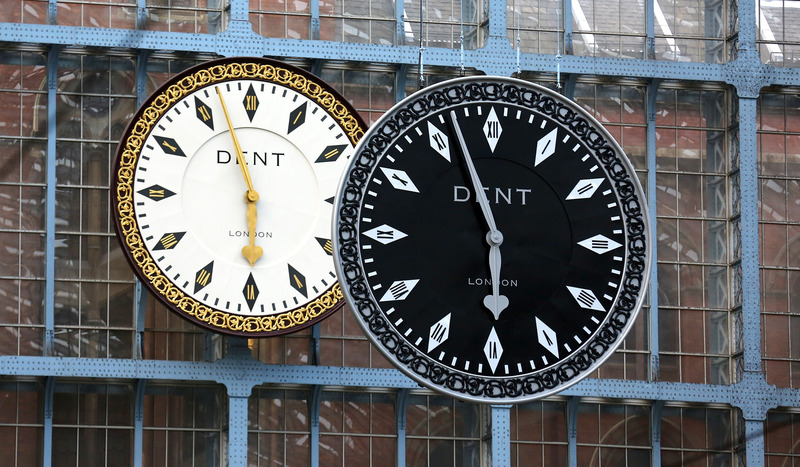 Her new work is an exact working replica of the station’s iconic Dent Clock, except hers, suspended sixteen metres in front of the original, is the “negative” image being black, with white numerals and hands and the detail picked out in silver. 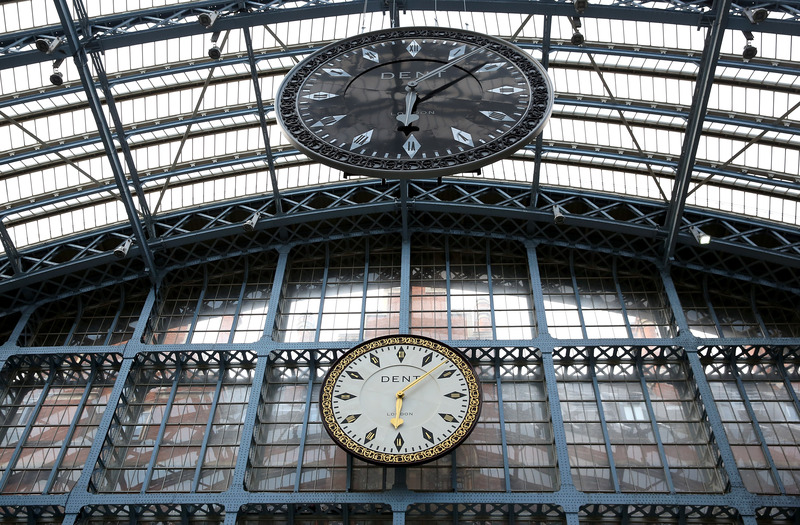 Passengers arriving by train will see the original white clock “eclipsed” by the black one as they walk up the platform. This entry was posted in Architectural Fittings, Clocks, Contemporary Art, Decorative Arts, Visual Arts, Works of Art and tagged Clocks, contemporary art, Decorative Arts, Dent London, Royal Academy of Arts, St Pancras International, Visual Arts.